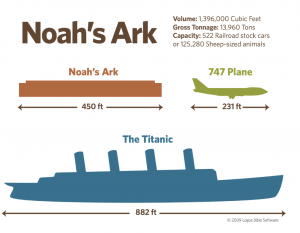 It was a big boat at a time when big boats did not exist. It was a feat of genius ingenuity. You can read the instructions for building in Genesis 6:14-22. 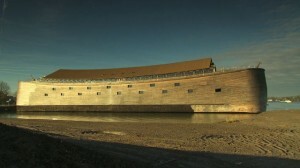 We are also told that the ark is a picture of the Church and salvation. 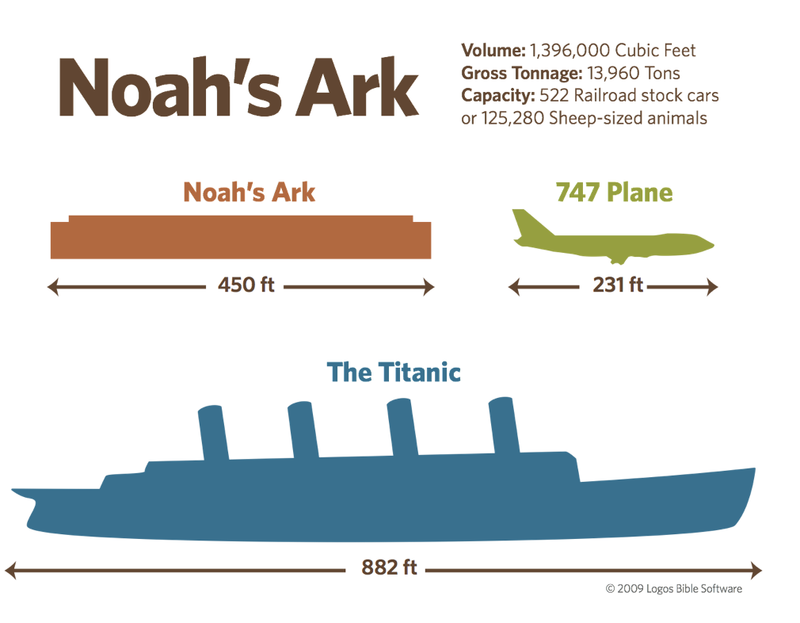 In the ark Noah passed through the waters which is a type of baptism. St. Peter writes, “God patiently waited in the days of Noah during the building of the ark, in which a few persons, eight in all, were saved through water. This prefigured baptism, which saves you now” (1 Pet 3:20–21). Jesus says we are born again by water and Spirit which fulfills the prefiguration of Noah and saves us (John 3:3-5). With all those animals in the ark I wonder who was in charge of cleaning up the mess. I grew up on a small farm and it was my job to use the pitch fork to scoop up the nasty straw and spread it on the garden every day. The sons of Noah must of had a monumental task every morning and the smell must have been nauseating. But sometimes it is worth wading through nasty stuff – I mean piles of poop to get to heaven. We too live in a world full of sin, suffering and abuse, but we persevere and the reward is salvation (Matt 24:13). We are all still reeling from the experience as yesterday at Guadalupe. And this being our last day, is more for fun and relaxing before heading back to the United States. 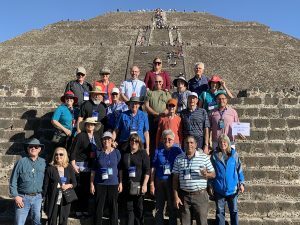 We started the day with a short drive to Xochimilco where we boarded colorfully painted gondolas and went through the canals being serenaded by mariachi bands and eating corn on the cob. We spen time strolling through the exotic Village Market selling meat and fish and all sorts of foods and crafts. It was really something to see. Right in the center of this market is a quaint and highly decorated little chapel where the locals come at noon for Mass and we had our Mass there today. Homily here. Then everyone had the rest of the day and evening free to get there final shopping done, rest up, pack and get ready to go home tomorrow morning.